I started this blog four years ago, and for much of that four years I have written something nearly daily. Much of what I’ve written you’ve seen here. Some has been sold to magazines or other websites as articles on gardening or cooking. Over the last many months, as my presence on this site sputtered and faded, I was writing harder than ever, wrapping up my first book manuscript. I turned in that manuscript on December 1st exhausted, and with no desire to write. Not here, not for magazines, and certainly not on my book. I thought I’d probably never write anything, ever again. And so, for a month, I kinda fucked around. First, I picked up half a hog from local farmer Adalyn Farm and put prosciutto, sugar ham, bacon, guanciale and coppa up to cure. 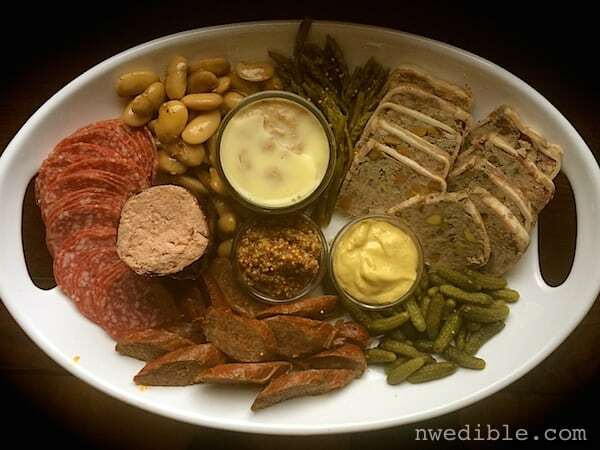 I made pate de campagne and Canadian bacon and smoky ancho sausages and pints of rillettes and tubes of braunschweiger and quarts and quarts of pork stock. Then there was Christmas and decorating the tree with the kids and hanging plastic sparkly snowflakes everywhere we could. Family and friends rotated evenings around our dinner table. Presents were opened, wine glasses were raised, life was lived without that feeling that I should photograph everything for possible future posts. It was nice. And in between I thought about how I should probably get back to blogging, and instead I played Candy Crush. I needed that break. But, with the New Year comes a new opportunity to reflect and plan. It’s a time to punctuate the moving forward that will happen whether we wish it to, or not. I’m looking forward to coming back home, to this space where I feel most spontaneous and free with my writing, sharing and teaching. Those of you who managed to stick through the several months of my absence here (what is that, like 17 years or so in internet time? ), thanks for your patience. I look forward to starting the conversation back up. In the meantime, Happy New Year and all my best wishes for a peaceful, prosperous, healthy 2015. Welcome back! I’ve been checking in now and then and hoping you were gone because writing a book and a blog, on top of all the things that you actually do so that there’s something to write about, would make a person lose their mind. I’m glad taking a break after the book led you back here! Happy New Year and I’m looking forward to hearing more about this pork curing you’ve been doing. Thanks as always for the inspiration! Welcome back from your much-deserved break! 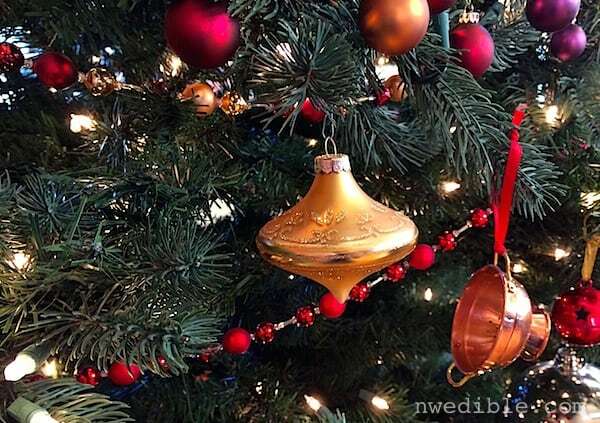 It was a gift several years ago, but I found this similar one on sale at Sur La Table. Glad your’re back but even more glad you took a break! Life cannot be lived 24/7; at least not a life that is full and meaningful and joyful. You just have to stop and smell the roses and drink the wine on a regular basis. I have always looked forward to reading your blog and will continue to do so! Thank you for doing it. Delighted to see you back Erica! I’ve missed your posts. I finished a PhD dissertation in December 2013 and it took a whole year of pottering in the garden before I felt up to sitting to write again. You did well! Looking forward to seeing your book. Welcome back! You were missed, but glad you took time for yourself. Happy New Year. So glad to see that you’re back! I missed you! Happy joyous New Year to you & your family. As you can see we are all overjoyed to see you are healthy & happy. Cannot wait to share some time with you (reading your blog). Love & Peace always! I’m so glad you’re back–I’ve been waiting for your re-emergence! Happy New Year, yay for relational/relaxation breaks and congratulations on all that you’ve accomplished!